One of the new key hires is Dan Makoski, a Silicon Valley executive and proponent of innovation by design, who, in summer 2018, became the first Chief Design Officer at Lloyds Banking Group. A glimpse at Dan’s CV would reveal Microsoft (he was a member of the team that designed the original Surface), Google (Dan was one of the so-called ‘pirates’ behind the mobile project ARA), Capital One, and Wal-Mart (VP of design at both companies). 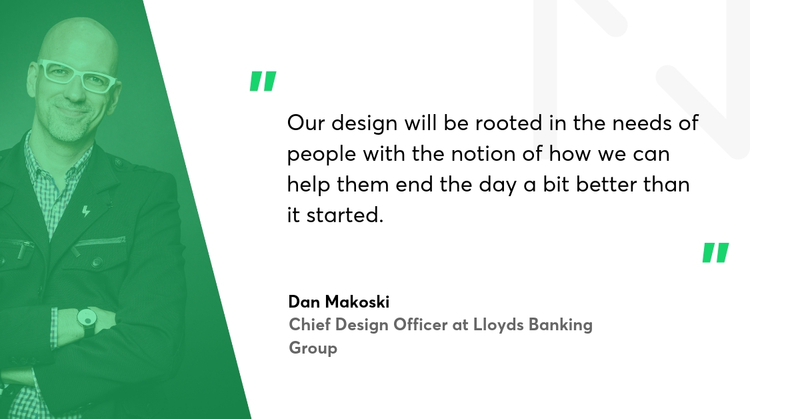 Dan’s challenge is to redesign the banking experience around Lloyds' core mission: to help Britain prosper, and design for prosperity. This topic was discussed at our Disruption Forum in London, where we hosted Martin Dawson, Head of Design Language at Lloyds Banking Group. 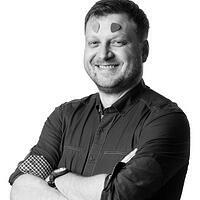 Tomasz Grynkiewicz, Netguru: While I was preparing for the interview, I took a glimpse at your Instagram feed. And I couldn’t help but notice that you’re probably the least typical C-level manager one could imagine in the banking sector. Dan Makoski, Lloyds Banking Group: It is true that I have a bit of a different kind of profile. Although I'm in my mid-40s, I continue to have a sense of learning and what my colleagues call a ‘childlike optimism,’ so as you scroll my Instagram feed, you’ll see hip-hop dance and all kinds of things that are a part of my life. I sincerely believe it helps to make a better designer if you’re more connected to people, so that’s what I try to do, while understanding that my role at Lloyds can be a bit surprising, not least because design is relatively new to the C suite. I don’t follow the latter. We’ve got folks like Jony Ive at Apple, we’ve got great designers in the car industry, in the clothing or movie industries. I feel that the role of design is highly praised in the corporate world. But when it comes to banking we're just beginning to see design become a key part of the process, and the impact it can have on the industry. So how does this ex-Microsoft, ex-Google, ex-Walmart guy, fit in at Lloyds Banking Group? I feel I fit amazingly, which is shocking, isn’t it? Who would have thought that there would be a match between a Silicon Valley design leader and the 300-year-old British bank? But I feel I do fit here, for a couple of reasons. Number one is that Lloyds Banking Group's mission is to help Britain prosper, and unlike some companies that have a mission only for social responsibility purposes, at Lloyds we really mean it. I share the underlying belief that we need human-centred banking in order to help our customers end each day just a little better than it started, and am helping figure out how we can have that kind of impact. To something I honestly believe: that great design comes from knowing who you are designing for and what they really want and need. What are the other reasons that make you a match with the UK’s banking landscape? To give you a background: there are three areas of humanity that haven't had a lot of design innovation in my view. One of them is financial services. The other two are health care and education. I was puzzled by that because those are arguably our most precious resources - kids, health, financial well-being. I think I can see a common denominator for these three areas. They are heavily regulated industries. And for a reason. But the unintended consequence of all that regulation has been a kind of calcifying of innovation and a fear of trying new things. Could it be that designing would change the status quo? 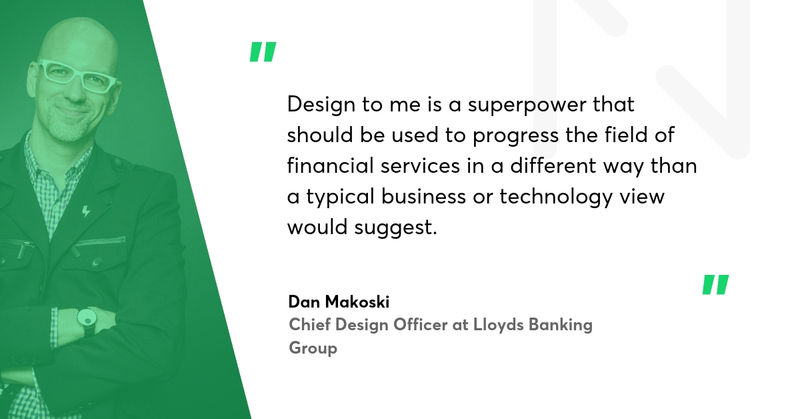 Design to me is a superpower that should be used to progress the field of financial services in a different way than a typical business or technology view would suggest. We need more empathy and humanity in human-centred banking to get through all of that risk aversion. It doesn't mean that we remove any of our audits or things that help keep us safe. It just means we need a fresh take. The core mission of Lloyds Banking Group is to help Britain prosper. What do you mean by that? There are so many examples that I could talk about it for hours. From the 700,000 individuals, organisations, and charities that we’ve trained in digital skills over the past year; to the team dedicated to supporting vulnerable customers who face some kind of moment of financial difficulty. This could be a cancer diagnosis, being laid off or a family bereavement or something else entirely. Our team is empowered to decide how to help these customers: do we defer mortgage payments, reduce fees or maybe even find ways to provide the support they need. That’s an overview of what Lloyds Banking Group is doing. But I was curious in particular what is the role of the design team in supporting this mission. Our goal is to design for prosperity, and we’ve started by defining what prosperity means from a design perspective. First of all, we’ve realized that everybody will define prosperity in different ways. Prosperity is a good word for us because it ties into our corporate mission, but when we ask everyday people “what does prosperity mean to you?” most people talk about their loved ones and experiences. They talk about family, friends, keeping their children from having to go into a lot of credit card or student debt. At a bank you often think about financial products and then try to market those to people, but we think about the role of finances in people's lives. Money is just an enabler, a means to another end, which is living a full life. The important thing here is that the notion of prosperity is not about how many zeroes are a part of your bank account. It's more about how connected you feel to your money, how clear and confident are you in making financial decisions and in the security of your future. You may be a nine-year-old getting your first pocket money, or about to become a parent yourself. The fundamental idea is the same - making sure that you're not just spending for your current self, but also thinking about your future self. In that context, we define prosperity as helping people to end the day a little bit better than it started. Can you name some tangible examples of how the notion of prosperity influences your designs? Honestly, we're still at the beginning of the process, but to give you a little insight, you can imagine moving away from the old model of a family was sitting down and going through a checkbook, trying to figure out their budget. We're not in that world anymore. We’re living in a world of information at your fingertips, in a world of mobile apps, and the role of real time notifications and updates will be the key. Do you mean the kind of alerting like “you’re spending more than you earn” notifications? It’s much more than this. With the use of data insights, we can probably predict with pretty good accuracy when you are likely to go into overdraft, or overspend, and address this before it even becomes an issue. Children's accounts. It's hard for parents to teach their children how to use money wisely, when they often don't exactly know how to do so themselves, since there's no public education about it. 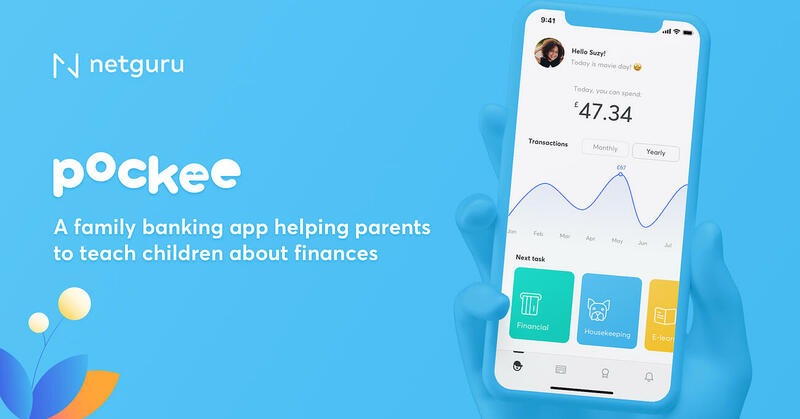 With simple visual metaphors to make money more relatable, for example, we can start to set up the next generation to be better with money than we are. From what I’m hearing, your North Star is how to create a design within the banking system that educates people about their money situation? That is one part of the challenge. The other thing is we don't want to become prescriptive, to dictate what prosperity means to you. That may not feel “prosperous” when you look at it with the old school mentality, but this is how he defines prosperity, by collecting experiences, not objects. And it's not necessarily my role as a bank to determine what he defines as prosperity. How do you define your success at Lloyds Banking Group? We will be successful if we will create the design language in a financial system that adapts to you and gives you a space to articulate your goals, hopes and dreams. Our success would mean that the whole diverse society of people, households and businesses feel more confident and clear in their financial decisions, they understand what it means to them. Should we expect a groundbreaking approach at Lloyds Banking Group? You can absolutely expect that Lloyds will create an experience that is not trying to just follow the big global banks, the fintech startups or challenger banks. Our design will be rooted in the needs of people with the notion of how we can help them end the day a bit better than it started. I'm pretty confident that the design that comes out of our endeavour at Lloyds will be revolutionary because I don't see many companies start with people at the centre of their process. I don't think many companies are doing the courageous work to create new experiences that truly serve people's underlying needs. I know that sounds kind of bold, when there's much work to be done, but I'm encouraged by the level of genuine commitment at Lloyds to do the right thing, and I know that we'll get there. As a final question, I'd like to ask you to share some of your design inspirations. 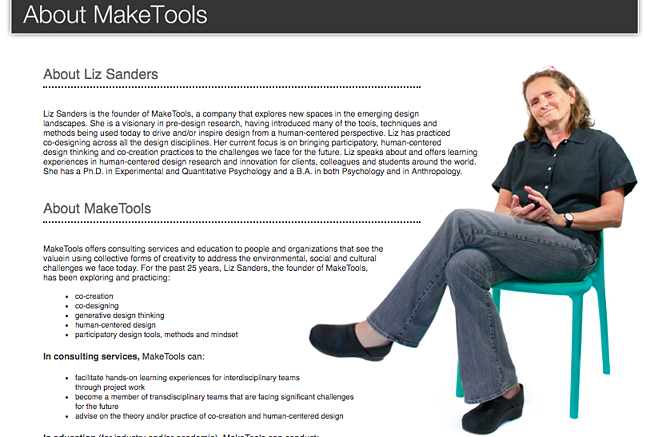 Let me just start with my design hero, Dr. Liz Sanders, the owner of a website called MakeTools.com. She is a proponent of co-creation and participatory design. I can honestly say I get my inspiration from her methods, where she helps to involve ordinary people in the design process. The design industry is very different from the art industry. If you're an artist, you're creating for yourself, there’s a lot focus on self-expression. But if you're a designer, the success of your work depends on how well you’ll meet people's needs. It's actually more an act of humble service, so bringing people into your process makes you a better designer. Another example of my dose of inspiration is coming from Muji, the Japanese company that started as a simple store within a large shopping complex, selling all of these objects that had no branding, they were just this simple form of ordinary things, like pencils and paper towels. People loved it so much that they ended up creating their own brand. 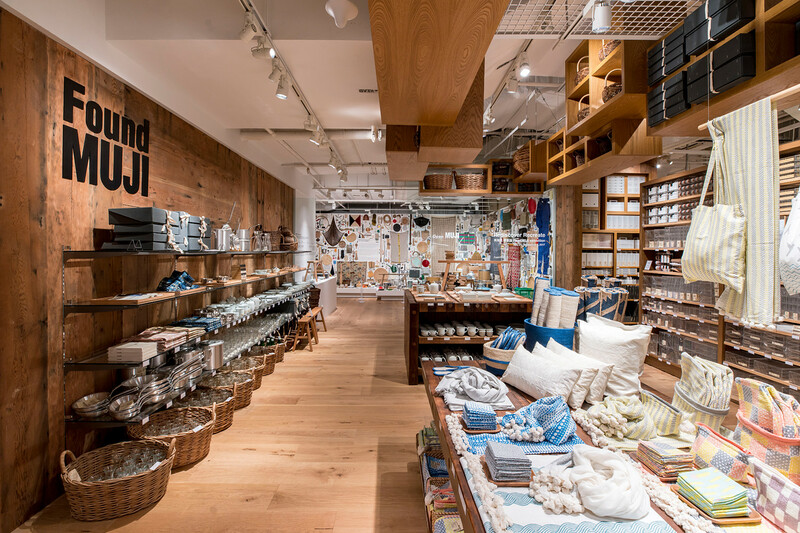 I love walking into the Muji store because it gets you stripped away of all that noise, the advertising, all of the heavy labels and logos and glitz, and you're left with a collection of things that just feel honest and human. Muji is to me the strongest proof there is that less is sometimes more, and simplicity is a powerful design attribute. There are obviously many more things I take inspiration from, but mostly I think ordinary people are extraordinary. To me, there's no richer source of inspiration than the extraordinary, everyday people you're designing for.